GCI President, Dr. Greg Williams, gives an update on Grace Communion International. 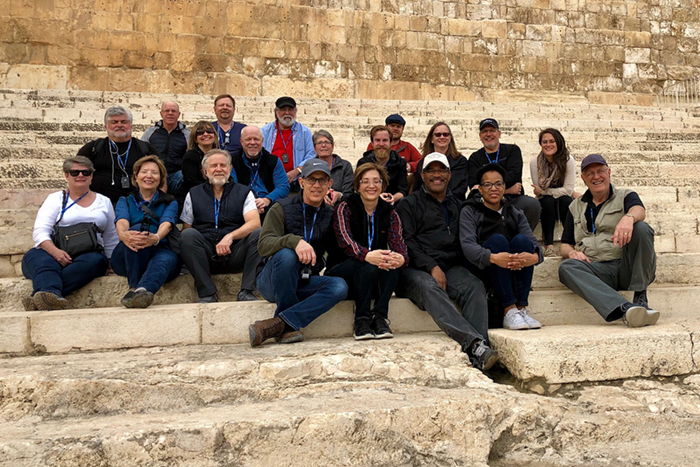 He shares the experience of a recent trip with work colleagues to the Holy Land – Israel. Dr. Williams reflects on the relational bonding that occurred and how we, as disciples, can do the same during this Easter season – inviting our friends, family, and neighbors to share in the experiences of Jesus’ life in our life. Very inspiring, and encouraging. I feel the love. Thanks for this video update I feel more connected for sharing what is going on . It is inspiring to remember and to celebrate the spiritual and historical ties that connect Christians with one another all around the world, Jerusalem and the Holy Land being a strong symbol of that reality. Greg, we pray for safe travel and much encouragement as you celebrate Easter with our African brothers and sisters.